" Gong Yang Machinery " has officially entered its 46th year this year. 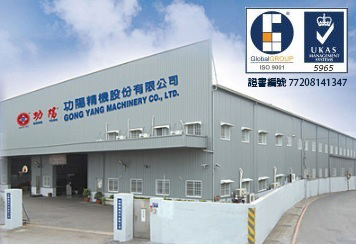 In order to continue to provide customers with better service and quality, " Gong Yang Machinery " was established. The two related companies, “Kaen Gongyang” web://www.kagongyang.com and “Xin Gongyang” web://www.xingongyang.com, joined the service team. The production line is divided into multi-function milling heads and power milling heads, which provide professional technical support. 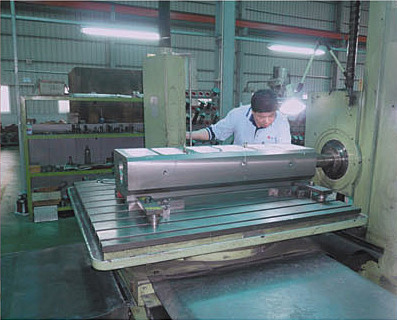 Founded in 1972, Gong Yang Machinery makes boring & milling heads, milling & cutter heads, radial/universal drilling & milling heads as well as accessories for double-column machine tools. And we’ve also developed CNC models through constant R&D. Our latest, innovative and multifunctional items—superior to counterparts made in China—have been patented and are winners at the 2008 Taiwan Excellence Awards. Backed by 40-plus years of expertise and many patents, we are recognized and trusted in the machine tool sector. Always professional and pursuing excellence, we continue to enhance production technologies to take on challenges by delivering optimal machining accessories. Gong Yang Machinery Co., Ltd., headquartered in Taiwan, has subsidiary in China: Shanghai, Qingdao, Wuhan, Kunming, Gong Yang Precision Machinery Co., Ltd. Be wary of those who try to mislead and defraud using our “Gong Yang” brand. Another, I would like to thank you for your long-term support and support for " Gong Yang Machinery Co., Ltd".